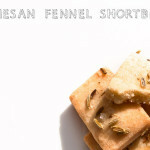 I know, I know, it seems like everything I post on this blog has fennel in it. What can I say? I love the stuff! 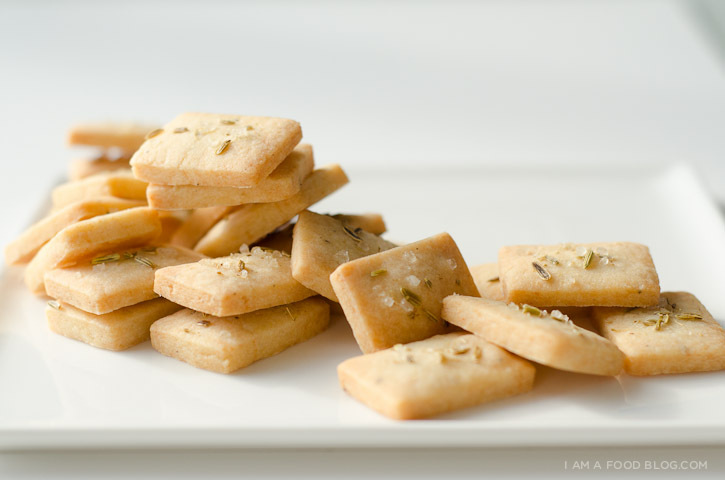 While flipping through latest article of Bon Appétit I came across a photo of golden brown shortbread flecked with Parmesan and topped with fennel seeds. I just had to make them. They were calling to me and I’m not one to ignore deliciousness. I’m a big fan of Bon Appétit’s gorgeous photography. Their covers always catch my eye at the store and inevitably I buy every issue. Finally, last September Mike said enough is enough and he signed me up for a subscription. (It’s just $1 an issue when you subscribe. That’s crazy savings.) Unfortunately, magazine subscriptions don’t always work for Canadians and I never did end up getting anything in my mailbox. That is, until two days ago when a shiny new March issue came all wrapped up. I’m excited my subscription came in but I wish it did a little earlier – I already bought the March issue! These little shortbreads are meant to go with coffee, but I think they would be nice as a little nibble with wine just before people settle down to the table. They’re quite complex tasting: mildly cheesy, slightly sweet and savoury from the crunch of salt and fennel seeds. 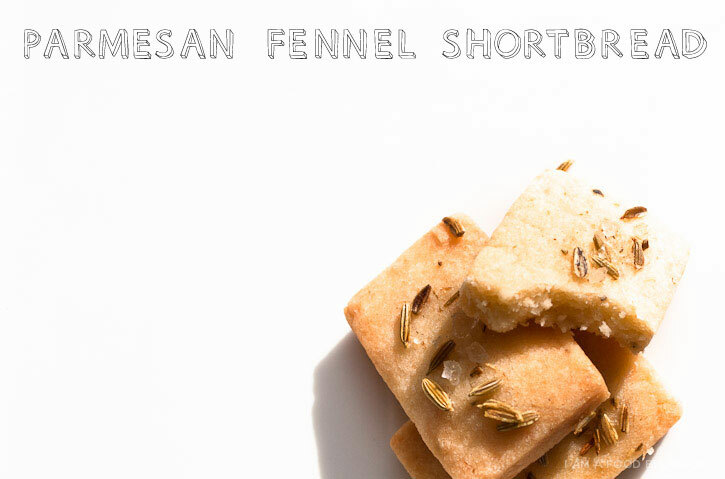 I am buttery, I am fennel-flecked: I AM PARMESAN SHORTBREAD! Cream the butter and powdered sugar until smooth. Add the salt and pepper and continue to cream until light and fluffy. 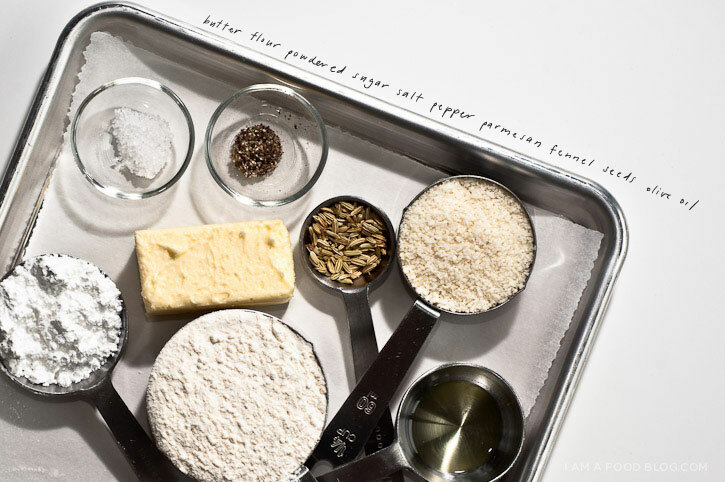 Add the flour and chefs and mix just until dough comes together. Shape the dough into a rectangle and wrap with plastic wrap. Chill until firm. When firm, remove from the fridge and let stand for 30 minutes. Remove plastic wrap and roll out on a lightly floured surface to a 1/4″ thickness. Cut out with cookie cutters or slice into rectangles. Arrange cookies on a parchment paper lined baking sheet. 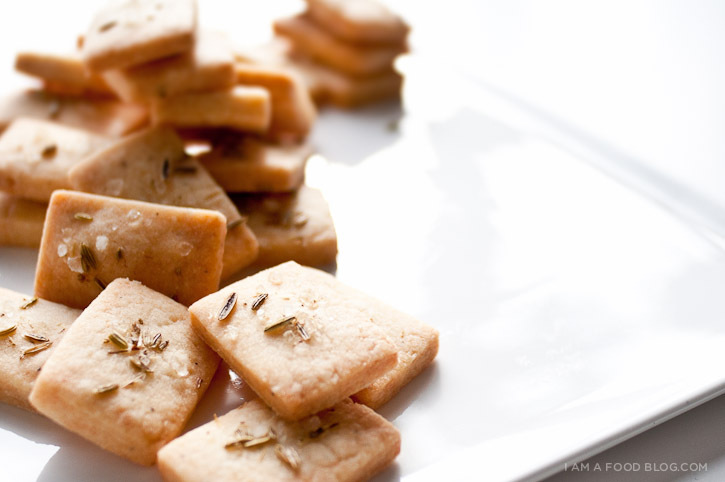 Brush cookies generously with oil and sprinkle with crushed fennel and sea salt. Bake, rotating halfway through until cookies are golden brown, about 20-24 minutes. Let cool on sheet for at least 10 minutes. Serve warm or at room temperature. Shortbread is dangerous stuff. It one or two and you can almost feel the button on your jeans go POP. Fennel IS good stuff! I can see that you use it more than occasionally, so I have to ask… have you ever roasted it? So good! 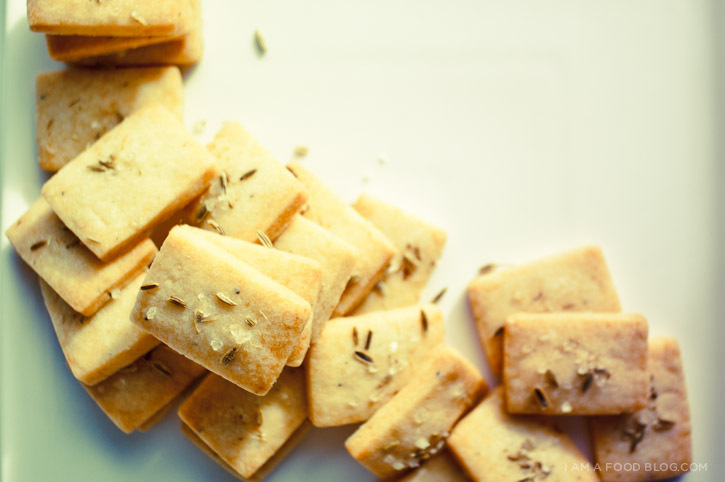 I absolutely love shortbread and am coming slowly around to the savoury varieties. As fennel is one of my favourite flavours I am going to have to give this one a go. If the pictures are anything to go by I am sure I won’t be dissapointed!